Dell is jumping on the Haswell train in a big way. The company announced at Computex a raft of new consumer and commercial notebook and desktop PCs that will be powered by Intel's fourth-generation Core processors. Dell remains committed to the desktop PC—and not just with all-in-one offerings. The company announced at Computex this morning not one, not two, but three new Haswell-powered desktops. The latest iteration of Dell's high-end all-in-one, the XPS 27 will boast a 27-inch edge-to-edge glass touchscreen boasting native resolution of 2560 by 1440 pixels. The monitor supports Adobe RGB color, meaning it can display 99 percent of the NTSC color gamut. The more typical sRGB monitor is capable of displaying only 72 percent of the NTSC color gamut. The XPS 27 features a dual-hinge design that can move the monitor up and down as well as swivel left to right. It can also lay completely flat so you can use the touchscreen from a standing position. Dell includes support for Intel's Thunderbolt technology, six USB 3.0 ports, a 7200 rpm hard drive with up to 2TB of capacity, and an optional 256GB SSD. Integrated graphics are standard, but the XPS 27 can also be configured with an Nvidia GeForce GT750M graphics card. Price start at $1599.99. Dell's flagship desktop PC, the XPS 8700 tower, wants to be the center of your digital universe. It comes with up to 4TB of storage, but it has four HDD bays if you need to add more. The tower includes six USB 3.0 ports, up to 32GB DDR3/1600 memory, and you can order it with an optional SSD. Prices start at $699.99. Dell's OptiPlex 9020 in an office all-in-one configuration. 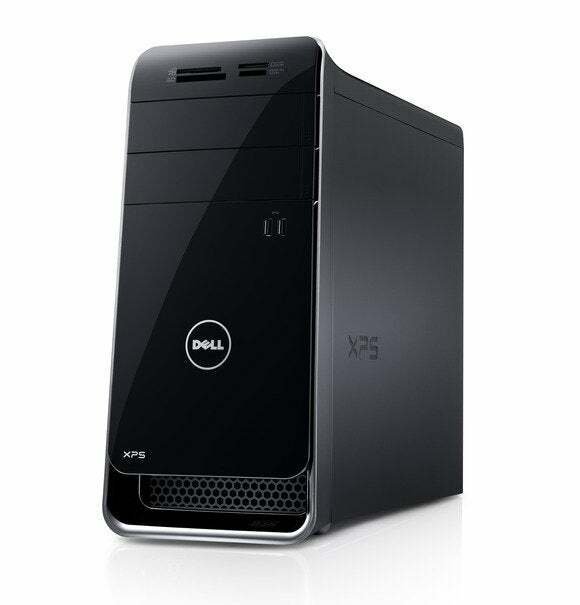 The Dell OptiPlex 9020 looks like a clone of the XPS 27, but this machine is designed with business customers in mind. In addition to the all-in-one trim shown here, the OptiPlex 9020 will also be available without an integrated display in ultra small form factor, small form factor, and mini-tower configurations. 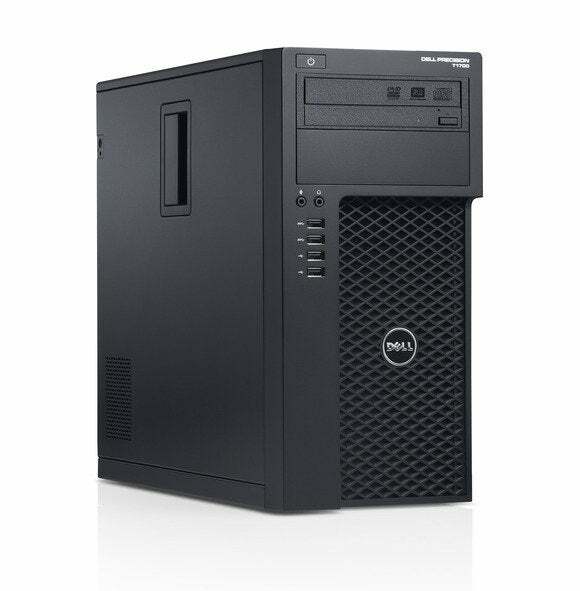 The OptiPlex 9020 can be configured as a conventional business PC offering Intel's vPro security technology; a conventional hard drive, a hybrid drive, or an SSD; and integrated or discrete graphics. Alternatively, it can be configured with Dell's Cloud Desktop and operate as a stateless, diskless for higher data security. Whether you call them notebook, laptops, or Ultrabooks, the mobile PC is evolving faster almost faster than we can keep up with. This is the market where Intel has focused most of its fourth-generation Core design effort, and Dell aims to make the most of it. The XPS 12 can flip into a tabet. Dell's XPS 12 is a two-for-one deal: Flip this Ultrabook's 12.5-inch Gorilla Glass display and it converts into a touchscreen tablet. Dell claims the Intel HD Graphics 4400 integrated into the fourth-core Core powering this machine delivers 68-percent better graphics performance than the third-generation Core processor Dell used in its earlier XPS 12. The company also maintains the XPS 12 will deliver up to 8 hours and 43 minutes of battery life. The system weighs in at 3.35 pounds and starts at $1199.99. The Latitude E6540 focuses on data protection and flexible encryption options. This thing wasn't made for a fashion show and sports a rugged design and swappable batteries for longer use on the go. Along with the including Intel's fourth-generation processor, it also offers admirable graphics and a solid-state hybrid or full on SSD drive for high-end performance. To top it off it will come with protective and management software including Intel vPro and Dell Data Protection. Dell did not announce pricing for this model.